Custom Countertops for Southwest Michigan - Granite, Quartz and more! Are you looking for a way to make your ordinary kitchen or bathroom countertop go from “Blah” to something truly amazing? Consider installing granite or quartz custom countertops from Howland Floor Covering. Granite and quartz countertops are beautiful and can make your home more elegant and sophisticated. With thousands of different colors/patterns to choose from, you can make your kitchen or bathroom unique. Our designers recommend that you add a backsplash in a contrasting color to protect your walls from water and food. The backsplash draws attention and pulls together the variety of colors and materials in your kitchen. Enhance the appeal and usefulness of your kitchen and bathroom. 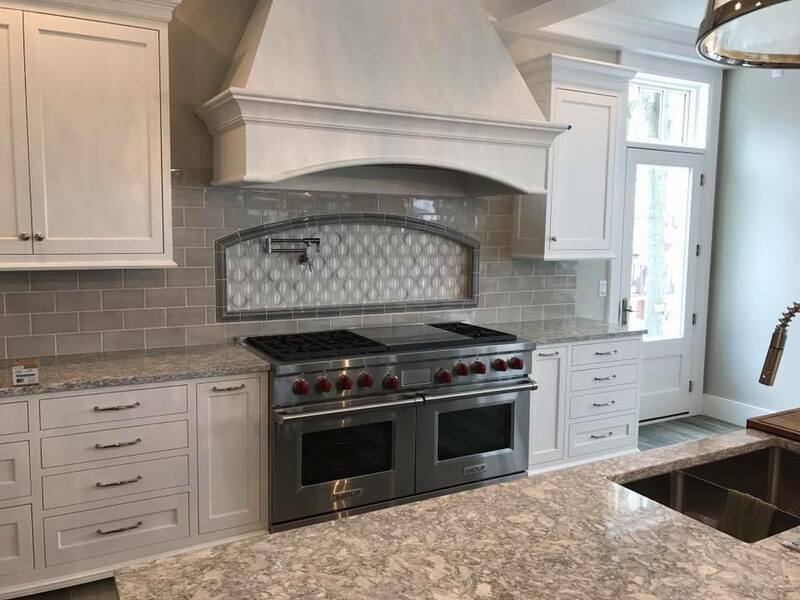 Here at Howland Floor Covering, we design and install high-quality kitchen and bathroom countertops of stone and man-made materials. Let us make your home more beautiful by providing countertops made with quartz, solid surface, laminate, or granite. We carry Granite, Stone Design, Cambria, Colorquartz, and Silestone USA. Granite countertops are more affordable than you might think, and may increase the value of your home. Granite is also one of the strongest and most durable materials available for your kitchen or bathroom countertops and no two slabs of granite are exactly alike. This material is heat-resistant, scratch-resistant, making its beauty and shine last for many years. Granite is also sanitary and easy to clean. Once it is installed and sealed, this naturally porous material will become virtually impenetrable to bacteria and other germs. Just wipe it down after use with warm soapy water and it will stay shiny and clean. Marble countertops are elegant, dramatic and lustrous. Marble’s subtle veining and special reflective ray of light adds a distinct dimension to kitchens & bathrooms, countertops, vanities, floorings and walls. Quartz is a popular countertop material because it combines the best of both worlds/nature and modern manufacturing. Mother Nature provides the solid strength of natural stone, while manufacturing provides easy maintenance and a wide range of colors and patterns. Laminate countertops are manufactured from manmade materials and are affordable and come is a wide variety of colors, designs and patterns. This material mimics nature. It can resemble hardwood, natural stone, and tile, and will resist wear and tear of daily living and can last for many years.